The insurance world rests on an insurer’s ability to maximize returns for customers. However, considering the recent exponential surge in regulatory policies that revolve around today’s insurance companies, it can be concluded that the challenges in the insurance ecosystem are proliferating like never before. With increasing complexities, traditional manual processes have lost their charm as problem solvers. While these processes consume a lot of resources, they do not perform high-value tasks, thus serving as a barrier to the growth of businesses. In these situations, the need for tailor-made, effective, and flexible solutions and services for insurance management have become necessary. This is where Insurance Consulting Group (ICG) SpA plays a significant role. With the suite of technological solutions and services that ICG brings to the table, entities in the insurance expanse today can quickly respond to the evolving market needs. Paving the way for companies to readily adapt to the changes introduced in the regulatory field, ICG stands out in the insurance space as an enterprise that clients can rely upon. “We do not just produce software solutions, rather we offer dynamic technological solutions for insurance companies to achieve their objectives,” says Gustavo G. Antongiovanni, President of ICG. With a belief that ‘Artificial Intelligence (AI) will forever change the insurance world,’ ICG has been continually identifying areas where AI applications could provide an improvement in the lifecycle of insurance processes including underwriting, claims and policy management, risk assessment, and insurance collections. “We believe that automation through AI is destined to permeate the insurance world. The technology can be used to complete mundane tasks to achieve an improvement in the efficiency of processes so as to guarantee compliance with increasingly stringent regulatory requisites for verifiability, security, data quality, and operational resilience,” says Antongiovanni. With its AI-based tool ‘Horus,’ an advanced image analysis engine based on recurring artificial neural networks, ICG allows insurance companies to contextualize information from resources, and quantify claims damage by analyzing reports. What makes Horus a front-runner in the insurance industry is its ability to read contracts and insurance related documents for fast-pacing the process of underwriting workflows. The tool can read images, documents, invoices, and medical reports, and further identify and label them to return textual information in a storable format. Horus imitates the way the brain learns from incidents, identifying visual information contained in images. Trained to detect insurance frauds like falsified documents and recognize manipulated images, Horus differentiates between heavy and light damages after the user uploads photos of the accident. Following the upload, Horus analyzes those images, evaluates the type of damage, estimates repairing intervention both in terms of cost and time, checks the simulated output with an expert, and finally gets the claim processed. Horus makes it possible to process complex and mass claims automatically, without any human intervention. The tool simplifies the processes that are associated with insurance claims and reduces the time and costs that come coherently with accidents. 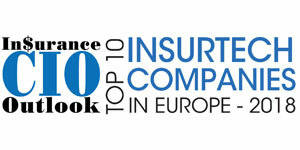 The victor in the insurance industry for three decades, ICG has partnered with major European insurance groups; thanks to its expertise and deep knowledge in the insurance market. The company is focused to design products that would bring together versatility and personalization and take insurance management to the next level.